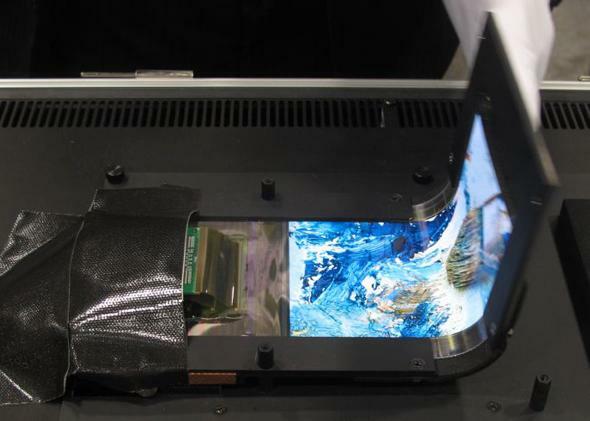 A bendable, foldable OLED screen from Semiconductor Energy Lab's Advanced Film Device group and Nokia. Okay, yeah, that looks pretty cool. There’s been buzz about folding screens for years, but it seems like the technology is finally moving closer to reaching the mainstream. 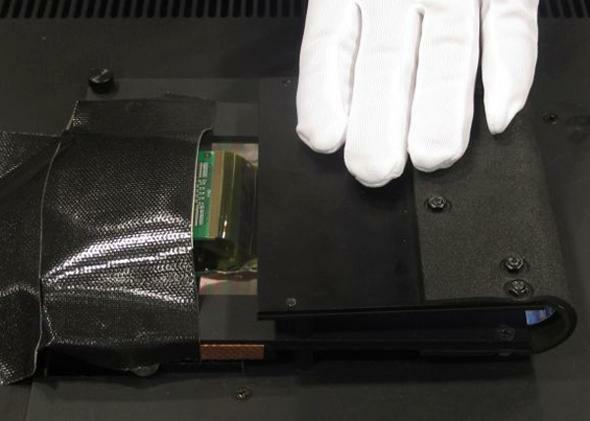 At a display tech conference in San Diego this week, Nokia and the Semiconductor Energy Lab’s Advanced Film Device group presented two new screens that look pretty bendy. The first type is a folio style that folds in half like a book, and the second is a tri-fold design. Both are basic HD 5.9-inch organic light-emitting diode screens. 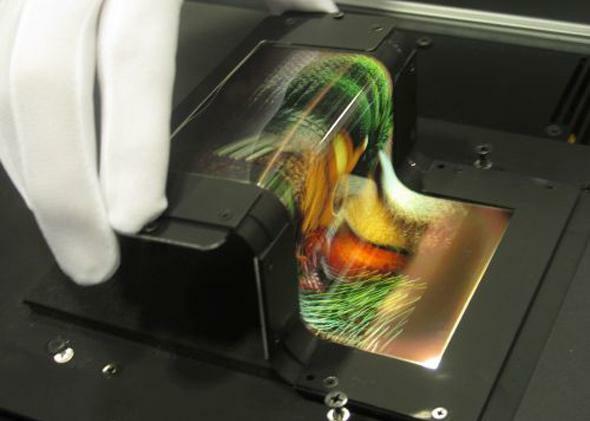 OLED is the tech of choice for folding screens because it uses thin, organic films that light up from electrical current and can be made from flexible materials. The screens are made by putting a release layer, sealing layer, color filter layer, and OLED layer together on a glass backing so they bond, and then removing the glass and replacing it with a more flexible structural layer. The folds in the screens can get down to a radius of between 2 and milimeters, and you can bend the screens about 100,000 times before they wear out. A flexible Kindle made of this stuff might not last a lifetime, but you could certainly tote it around in your pocket for a few years.